Windows | Pleasant's Personal Blog! 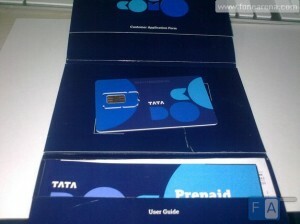 The 3G Saga – TATA Docomo and Me! It is a warm evening of March and I am writing this post from my new TATA Docomo 3G Internet connection. Since I moved to my new house, there had been no Internet and I feel as if I stumbled upon some magic elixir. 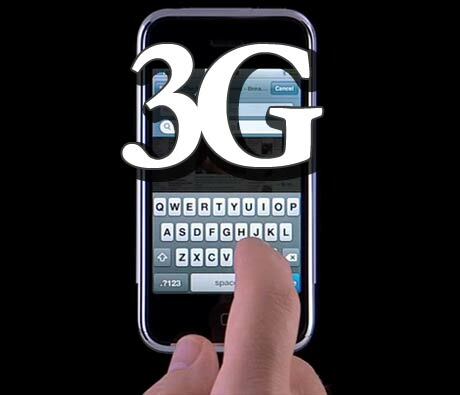 This post is named “The 3G Saga” because there is a long story behind how I got this connection and how we got it up and running. We faced many issues with it. This is the story of how we isolated each issue and what we did to finally solve each one of them. This post is dedicated to those poor souls who have taken the TATA Docomo 3G connection and are finding it difficult to make it work in Linux. You can treat this post as a tutorial as well. In my earlier house, I used the horrendous TATA Indicom wireline broadband. I never changed that connection because all my attempts to change it failed. Anyway, when I moved to my new house, I approached them to move my connection. For any kind of Internet connection, there is a feasibility study conducted by the concerned ISP in the area applied for. In my case too it was done. Eroor apparently is not an ISP friendly area and TATA Indicom found the area not possible for their wireline internet. The same was the case with Reliance NetConnect. Reliance guys should be penalized for using the word “feasibility“. Their big bosses are capable of constructing helipads on top of their houses and do ever grander things across the country. Nevertheless, I moved on with my other options like Asianet, Airtel and BSNL. After a two month-long fight with BSNL, I finally got fed up and canceled my request. My only option remaining was using wireless broadband. 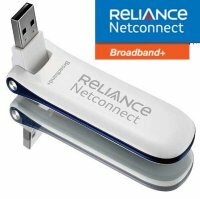 A previous experience with Reliance wireless dongle caused some reluctance but apparently I didn’t have much of a choice. My manager had taken TATA Docomo 3G and she said it was okay. So I went ahead with the same. 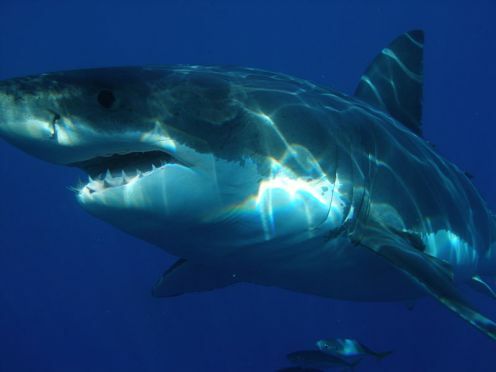 I always consider the behavior of mobile and Internet guys tantamount to white sharks. One drop of blood in the water and the sharks appear immediately and these guys behave exactly the same way. I applied and they came running. 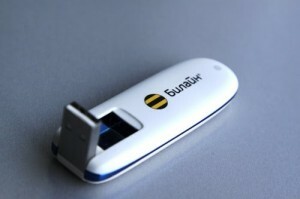 The dongle they offer is however the ZTE MF631 HSUPA. The Chinese company ZTE had released this model quite some time back and it seems to be an outdated one since their website no longer lists this device. What I believe is that TATA purchased large numbers of these old stock devices from ZTE China and is selling them at a higher price to the unsuspecting customers in India. 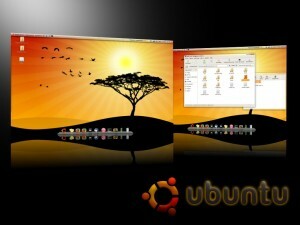 Anyway, the guy who came to my house was not able to make the device run on my Ubuntu 10.04. 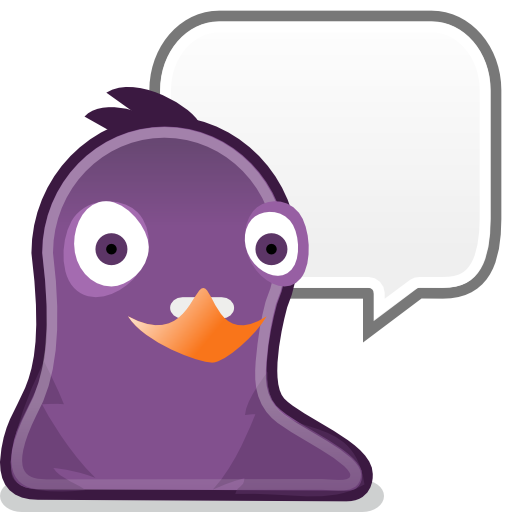 When he saw Linux, he got scared and lost all hope immediately. He did not even know the APN of the connection he was providing. Terribly annoyed, I started working on it nonetheless. They did have a driver in the device for Linux and after struggling with the terminal for a few minutes, I got it installed. The device was getting recognized as a modem; however it did not connect to the internet. I thought there was some issue with the device or their driver and I asked him to go find the fix. He went and another guy came but the story repeated. He said that I was the only customer in the city who asked this connection to be configured in Linux. I asked him to go and check it on another Linux computer. It is ironic considering the fact that Linux has a huge user base in India. Meanwhile, I called their customer support and asked for help but they refused to help me without buying that device first. But I observed another thing. My laptop was not able to connect via GPRS either. But I did have a faint memory of connecting using GPRS. I suspected whether this had anything to do with my attempt to prevent network manager program from updating my resolv.conf file with OpenDNS addresses. My brother, who has more expertise in Linux called yesterday and I updated him with the status and my doubts. He asked me what exactly I did to get rid of OpenDNS. I told him that I ran the command “sudo chattr +i /etc/resolv.conf” in the terminal. He looked up the man pages of that command and told me that the resolv.conf is now immune to any sort of updates, let alone OpenDNS. He asked me to check the “/etc/dhcp3/dhclient.conf” file as well. I did and sure enough, there were the two OpenDNS addresses viz 208.67.222.222 and 208.67.220.220. Now everything fell in place. The network manager took the addresses from this file to update the resolv.conf. I immediately appended the two addresses in the dhclient.conf. Then I ran the command “sudo chattr -i /etc/resolv.conf” to undo the security I imposed on it. He asked me to me to check the GPRS and hung up. I connected my phone to the laptop and voila! There was the connection! I called up the TATA Docomo guys on the morning of 5th March and informed them that I had found the solution. The guy came and I plugged in the dongle and ran the wizard and there came the connection. I didn’t have to install any software to get 3G. Ubuntu can detect 3G devices automatically and connect and I knew it was going to work without that software. And yet the representatives kept blaming Linux. So I got connected on a Saturday. It worked fine except for the heat in the device. Once it got heated up, it didn’t connect and once the connection is kept idle, it didn’t connect. I went to my native to attend a marriage on 11th and when I returned, still it was working. But the next day it stopped working. I hadn’t given the address proof since they were not ready to accept the rental agreement as proof. Those buggers deactivated my connection because of that. I asked the representative whether they will accept the postpaid mobile bill. He checked with his manager and told that they won’t. I told him that the postpaid connection is also from TATA Docomo and asked him why should the company reject its own bill. I asked my dad to intervene. He called that guy up and asked him the following. He said that he will try something and get it reconnected. In the interim, I gave him a copy of the postpaid bill and PAN card. Yesterday he called me up and told that the SIM was manufactured for 2010 and they have is﻿sues reactivating the SIM in 2011. I wonder what kind of problem would that be. He finally called up and told that he reactivated it. I was able to browse but the connection was intermittent. It kept switching between 2G and 3G networks and when it did, it disconnected. Finally I called up their support on Wednesday and asked what was going on. The guy told, he would send someone on Friday. I waited and no one came. I called again and another guy promised that a person will come on Saturday. I waited and still no one came. In the interim, the guy who gave me the connection finally came with the bill. Also another guy, a chartered accountant, called me to verify my address saying that all postpaid customers have to go through that procedure. He also added that the connection will get fully activated only after he submits a positive report. I asked the guy who gave me the connection whether this was the case and he agreed to it. I also told him about the 2G-3G switching issue. He told that I need to use the software provided by them to get rid of that problem since it has the option to choose “3G only” setting. My brother and I again started troubleshooting on the phone to get this software working. 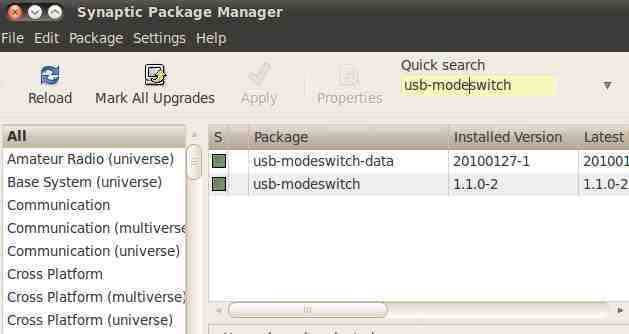 He suggested that if we install “usb- modeswitch“, may be we can connect using the network manager itself rather than using their software. But whenever I tried to install or uninstall anything related to “wvdial” or any other program pertaining to USB internet, I get the error “E: crossplatformui: subprocess installed post-installation script returned error exit status 2“. Though the programs used to get installed and uninstalled, it still gave the error. I thought it was some issue with synaptic. Further the software provided by TATA gave another strange error “Fail to connect! Link ppp0 wasn’t built !” to which no one has a clue on the internet. My brother said that it was 1 AM there and he wanted to sleep. So we wound up the troubleshooting and I too went to bed. Today I called up their support and spoke to a girl who said that my number has been forwarded to the concerned persons. I said that they are forwarding it every day but no one calls me or comes to my house. TATA Docomo call center is located somewhere in Gujarat. I kept pushing to get the number of someone here in Kochi. Finally she gave two mobile numbers of one Renu Moncy, the Nodal Officer in Kerala. However no one picked the call when I rang. Anyway, my brother had figured out that crossplatformui had nothing to do with linux and that is some program from Reliance. That was news. I checked synaptic immediately to see whether there was something with that name. There was a crossplatformui listed and when I looked at the manufacturer of the package, sure enough, there was Reliance Netconnect written there. I wonder whether it got installed when the Reliance guys were trying to connect their wireless connection few weeks back. So my system was more corrupted than I had actually imagined. 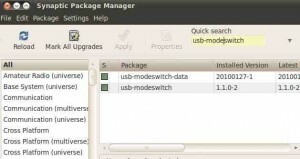 I removed crossplatformui and usb-modeswitch. I also ran “sudo killall TATA_DOCOMO_3G” and then ran its uninstaller. Once done I reinstalled the driver and the software and it connected. But the issue didn’t end there. The software doesn’t create an entry in the network manager which continues to show that we are offline even though we are connected. 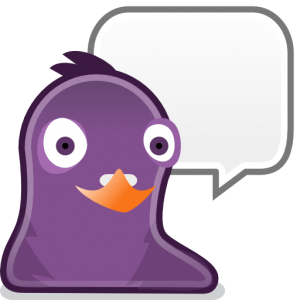 And because of that my Pidgin didn’t connect since it keeps looking for a connection in the network manager with a message “waiting for a network connection“. My brother called today and he gave another solution too. He asked me to run “pidgin -f” in terminal. I did and it opened up fine and connected. I asked him what this command meant. He said that this workaround was actually meant for Red Hat but it works in Ubuntu too. This command forces pidgin to find the available internet connection and get connected. 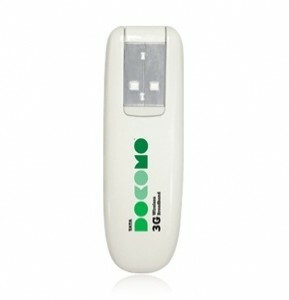 Further, when I run the TATA_DOCOMO_3G program with admin privileges, there are less number of disconnections. Today, on 13th March, one week after I took the connection, I finally have a consistent way of connecting without being at the mercy of the device. Hopefully it will continue to connect and things may go smoothly. I will keep you informed with further updates as I use the connection. Thanks for your time.